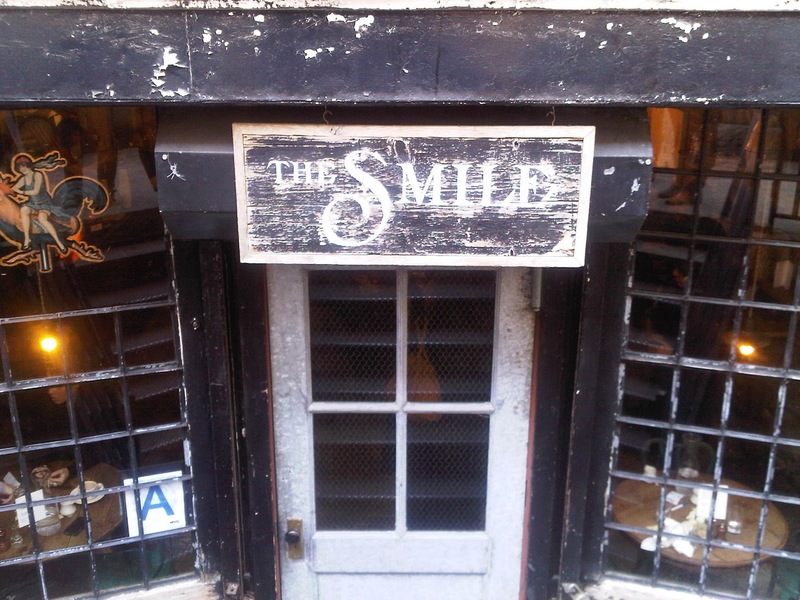 For those who think all of the hipsters have moved out to Brooklyn, when in Noho they can be found grabbing coffee or brunching at The Smile. Fashionistas in vintage printed maxi skirts and fur coats dine with guys clad in black skinny jeans, knit hats, and black plastic glasses. The chill crowd flocks to this rustic and cozy café/general store on Bond Street. Noted as the “white-hot center of New York cool” by GQ Magazine, this sceney spot doesn’t disappoint. The Smile boasts local ingredients, such as Gaspe Nova smoked salmon from the LES favorite Russ & Daughters', meats from Schaller and Weber, cheese from Murray’s, and bread from Sullivan St. Bakery. Chef Melia Marden has created her menu with care from her tiny kitchen after scouring farmer’s markets for great side dishes and additions to the menu. 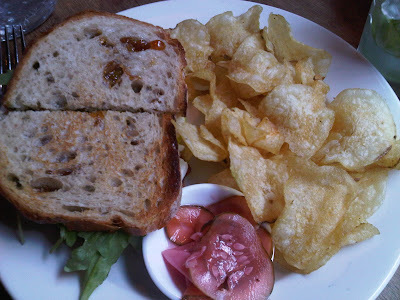 The Manouri Cheese and Fig (fig preserve, truffle oil, pear and arugula on toasted sourdough) is a must-order. The sweet fig paired with the mild, yet creamy cheese is perfection within the flaky bread. All of the sandwiches are accompanied by a generous pile of crispy North Fork potato chips and thin shaved house-cured pickles. Enjoy strong iced coffee or tart basil lemonade to sip with your meal. With salads and sandwiches priced at $13 or less, they are a steal for the neighborhood. If you’re in the mood for breakfast items at brunch, try the Baked Eggs with Ham, which bubble with cheese in a red sauce. This heavy dish may just cure your hangover from last night’s party in Bushwick. The Smile. 26 Bond St.
this place sounds so hip!! I'm drooling over that Manouri Cheese and Fig spread description! Have you ever been to Resto on East 29th?! I went there this weekend, fantastic little brunch bistro! Yes please. I might have to hit this one up... i am lunchless today.